Resources Assigned: Thompson’s Eastern Montana Type II Incident Management Team assumed command of the Rogers Mountain-Lazier Creek 3 fire today at 6:00 am. This fire includes four separate fires in the Highway 2 corridor. 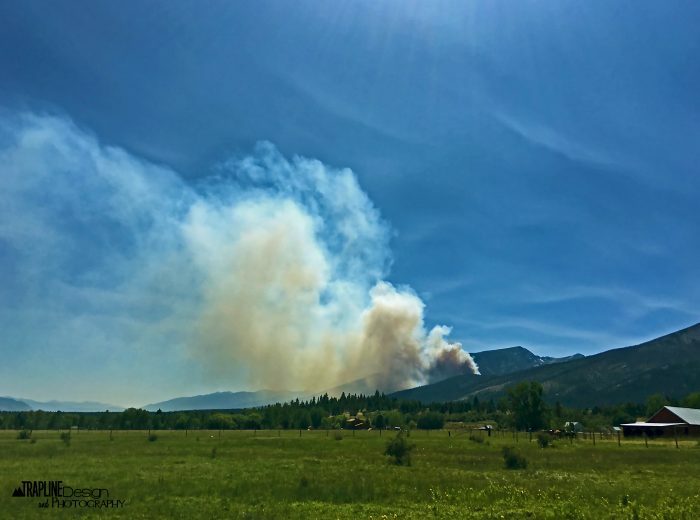 Rogers Mountain Fire: Located north of Loon Lake on Highway 2 and west of the N. ACM Road, this fire is estimated to be 75 acres. Heavy equipment and crews are continuing to construct direct line and improve anchor points on the perimeter of the fire. No evacuation orders have been issued at this time. Lazier Creek 3 Fire: Located south of Highway 2 and west of the Thompson River Road, this fire is estimated to be 1,140 acres. Resources are working to hold and improve fireline that has been completed on the southwest flank of the fire. Heavy equipment will be working to construct line on the north and east portions of the fire. Numerous structures are threatened and the Bend Guard Station and nearby structures area are currently evacuated. NW Meadow Peak Fire: Located east of the N. ACM Road near Meadow Peak, this fire is estimated to be 11 acres. Heavy equipment, crews and engines are improving fire line and beginning mop up utilizing hose lays. No evacuation orders have been issued at this time. Closures: Please limit travel in the area. Road closures are being put in place south of Highway 2 along the Thompson River Road. Weather: Moderate temperatures and humidity will continue through today with a warming trend moving into the week. Scattered isolated thunderstorms are predicted in the area today. Warm and dry conditions have increased fire risk, please use caution when recreating.